The 8Bitdo Wireless Adapter for Nintendo Switch allows you to use wired GameCube and NES/SNES Classic Edition controllers (and more) without being tethered to the Switch itself. The controller of your choice plugs directly into the adapter, which connects wirelessly to the Switch. In other words, it's a great way to give gamers some breathing room while playing Super Smash Bros. Ultimate with a proper controller. Not surprisingly, the 8Bitdo Wireless Adapter is the number one selling Nintendo Switch accessory at the moment, but pre-orders are up and running on Amazon right now for $19.99 while supplies last. It's covered by Amazon's pre-order guarantee, which means you won't be charged until it ships and you'll automatically get any discounts that occur between the time that your order and the release date - in this case, December 7th. Grab it while you can because another sell out is inevitable. 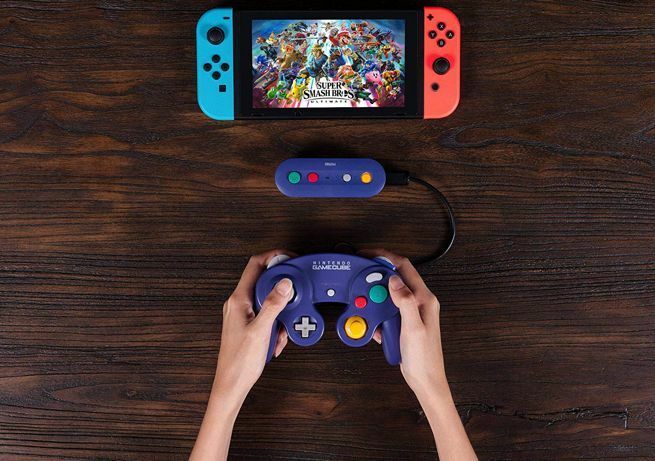 Unfortunately, if you need an option for more than one player, you'll need to stick with Nintendo's wired GameCube adapter. The official list of features for the 8Bitdo Wireless Adapter can be found below. GBros. has a built in toggle that allows you to connect to your Switch and X-input capable software on Windows. Of course you'll need a Nintendo Switch to play Super Smash Bros. Ultimate, so you might want to consider the newly released console bundle. At the time of writing it's available to order via Walmart, but sold out on Amazon. 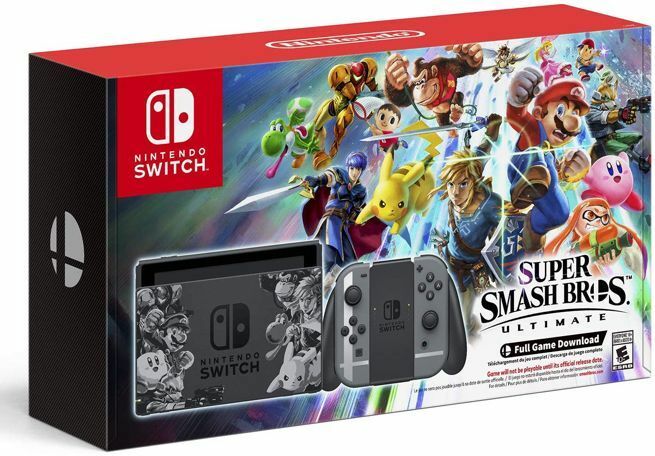 The bundle comes complete with a branded dock, Joy-Cons, and a download code for Super Smash Bros. Ultimate that won't be valid until the game launches on December 7th.